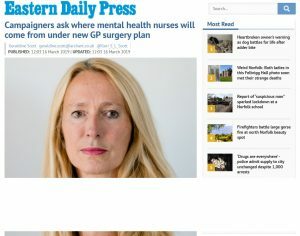 Jane Basham, Labour Parliamentary Candidate for South Suffolk, organised yesterday’s protest, and spoke with Ipswich Spy afterwards. “I attended most of the Health Scrutiny meeting today. 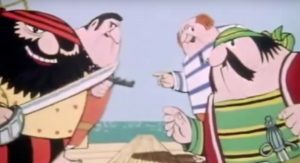 Despite a damning report by HealthWatch Suffolk and a host of challenging questions by Health Scrutiny Councillors the Directors of NSFT stuck to their guns – there is no crisis in mental health services in Norfolk and Suffolk. 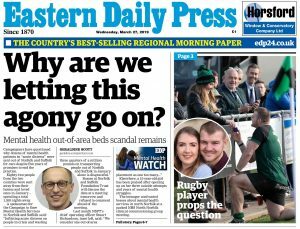 We were told there is no shortage of beds in Suffolk, but given no figures to back this statement up. 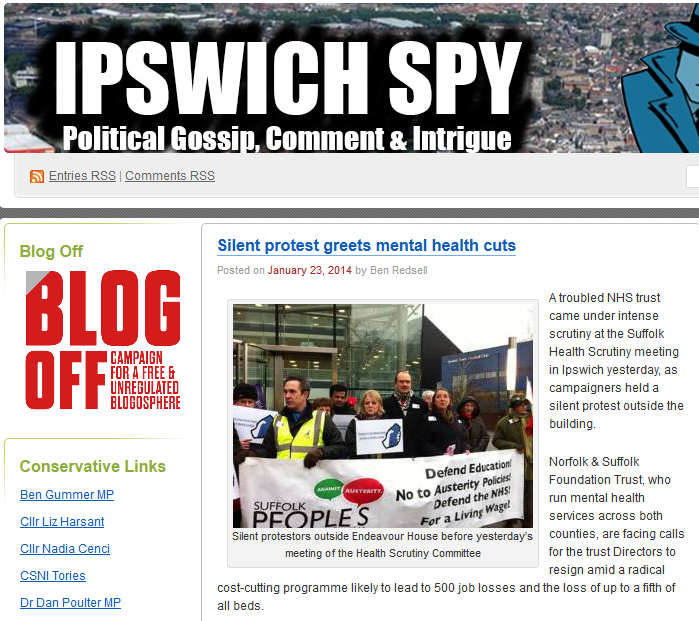 Ipswich Spy reports that ‘NSFT declined to comment.’ As usual, click on the image to read the full story.